In BC, we love our lakes and our boating and the most important thing you have on the water is sight. When Radar isn’t enough, look into our line of FLIR, Hikvision and Pelco Marine Thermal imaging cameras. One look at the boat night vision demo video and it is very easy to see the necessity for this type of camera. You won’t even miss floating debris after a high flood season. These night vision thermal cameras are the same used by law enforcement helicopters and military and provide the absolute best in navigation and security. We provide security installation services on all types of watercraft. We know how much you put into your boat. Let us help you protect it and your passengers. We can install both wireless cameras and alarm at your dock as well as bring your internet wifi out as well for when you are sitting out on the dock. Even Docks with no lift or power! so let our experience help you. We mounts cameras on non-metal poles for lightning protection. We know how many spiders like to make webs and take precautions here. 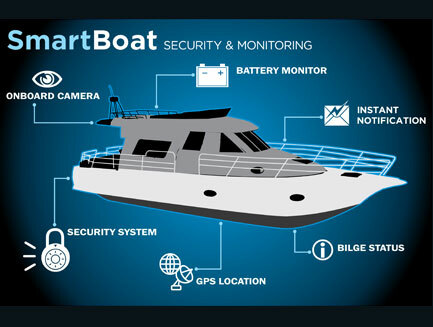 We use marine specific cameras due to the demanding environment and maintenance required. Some of our cameras are even equipped with wiper blades for the lens, so higher mounted cameras are easily cleaned. Our phone app will display any alarm condition in real time on your smartphone. Dock and watercraft crime is on the rise in the Okanagan. Call AVS today for a professional no obligation consultation. 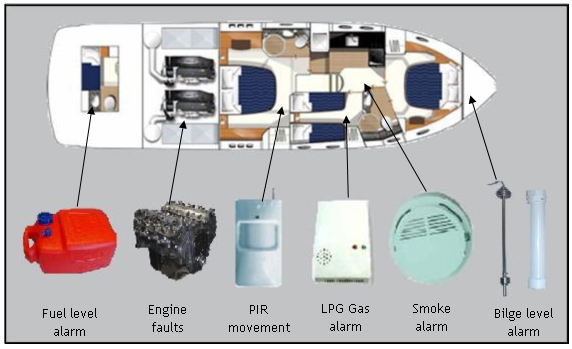 AVS Security has provided Marine security systems for over 15 years. We are happy to offer our expertise to you. Contact AVS today to get a free professional security system consultation. Copyright © 2016 AVS Security Inc.